CC Beauty Bar was founded by Cara and Carly, whose names make up the two C’s in the salon’s title. They decided they wanted to open their own salon that showed their style; where they could offer a unique experience with the best services. 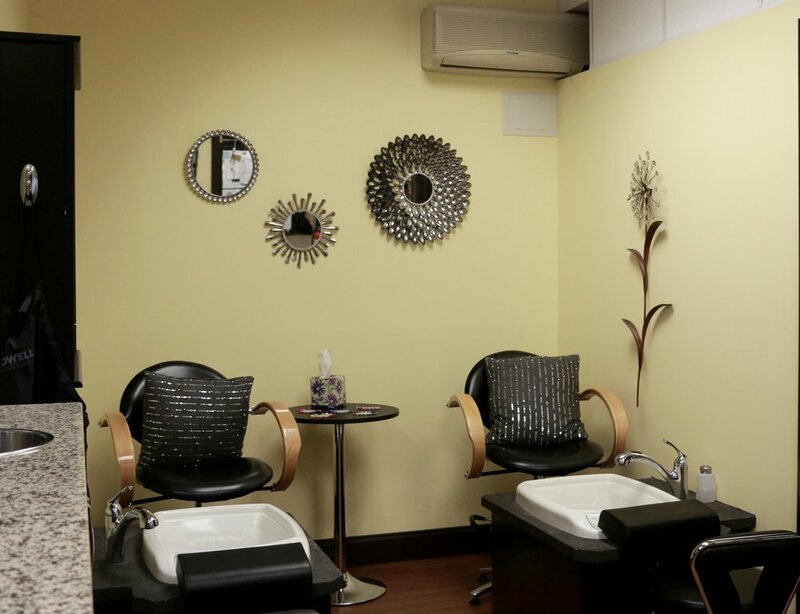 The salon opened on April 16, 2014. Cara - Owner - STYLIST- Perfecting her beauty techniques for over a decade; style is in everything she touches, and the decision to open her own salon with Carly was inevitable–giving her the ability to share her style with everyone who walks through the door. She is a specialist in hair color and highlights, and is an expert with extensions. Carly - Partner - ESTHETICIAN - With an eye for the natural beauty in everything and everyone, her amazing attention to detail will leave you with perfect skin and nails. Carly will also add length and beauty to your lashes, expertly applying lash extensions that will make your eyes shine! Emma - SALON ASSISTANT -There are plenty of things that need to get done in a busy salon, so Emma puts her talents to work to make the Beauty Bar a clean and fully-functioning place. Emma is also our resident artist–creating all of the beautiful canvas creations that grace the salon’s walls. Contact Emma for more information on purchasing this artwork. with a concentration in fashion, stage, and photography makeup, Sigga is our in house makeup expert. She specializes in bridal, prom and event makeup, and is very excited to be a part of the CC Beauty Bar team. Her favorite holiday is Halloween, because she loves special effects and face painting. Sigga’s experience and style will leave you with the perfect look.